New Wood Ring Die Pellet Mill is Hot Sale with Many Merits! 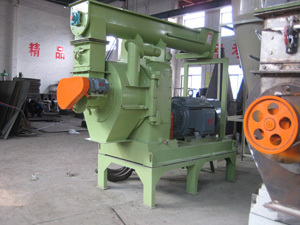 This is our new design wood ring die pellet mill, which is the big boy of wood pellet production line. It is a direct drive mill. The capacity of this machine is about 2500kg/h for softwood pellets while the concrete number should be taken with a grain of salt. The actual production capacity will depend on the kinds of material being processed. Grass, straw, bagasse and other agricultural wastes are the easiest, softwood is much harder and hardwoods are the worst material to make pellets. However managing the pellets consistency and moisture control are also the most important factor in how many capacity we will achieve. Our ring die is made of excellent quality high-chromium stainless alloy steel froge piece which are quite strong and durable. 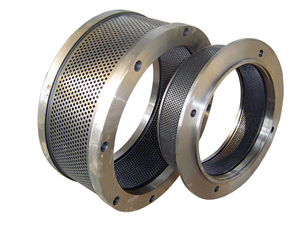 By precision finishing and vacuum gas quenching process, the die is more wear-resisting, corrosion-proof, impact-against and has longer using life. In addition, the advanced punching technology burnishes the die holes in a higher level. These factors have led to ring die pellet mills being adopted in most large scale pellet production lines nowadays. 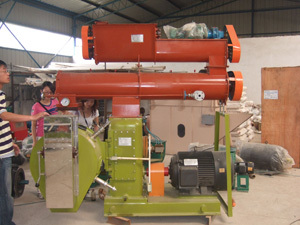 This mill uses 3 phase electric power which makes it very economical. The small motor driving the conditioner uses lower electric power. Also, there is another motor to push raw material into the mill. Meanwhile, this machine has overload protection device which makes it work much safer and less broken-down. 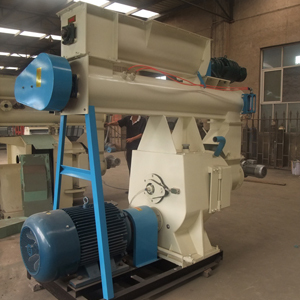 We recommend that customers use this style mill with variable frequency drive so that they can change the motors’ speed to peak their pellets capacity. 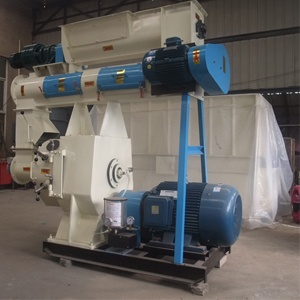 What’s more, our ring die pellet mill adopts speed–adjust feeding, which can control the feeding capacity correctly to fit for various biomass materials and meet pellets production requirement with various diameters. 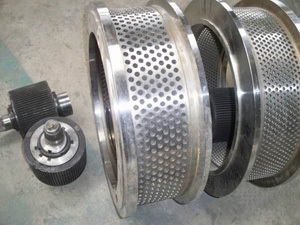 Modulator with large diameter has been applied to make material fully cured and make pellets much smoother. The formation rate reaches 98% and ring die pellet mill wear rate has been fallen to the bottom.